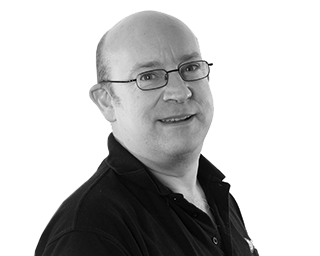 Andy Bourdillon is one of our System Analyst/Testers with nearly 18 years of experience at PDMS, his guiding principle in testing is “If it ain’t broke – it soon will be”. A registry veteran, he has worked on many of R&R’s projects, such as BORIS, MAVIS, MARIS, MACI, MARCI, ARDIS and COREG. The role involves the running of functional tests, customer scenario tests, stress tests, performance tests and scalability tests. This is all then reported on and then used to measure and improve the quality of the software – helping to achieve the best possible product. Before joining PDMS, Andy was a Senior Technical Administrator in the CMI Payments Department, his role included the processing of the surrender and regular encashment of life assurance products and the Y2K testing of payment systems. Before that, Andy spent five years working as a qualified sound engineer, working with many live music venues. Andy studied Computer Aided Physics at Lancaster University and holds Diplomas in both Computing and Statistics, holds a BSc Hons in Computing and Statistics from the Open University. He is also a member of the British Computer Society and Institute of Engineering & Technology. In his spare time, Andy pursues his interests in physics, reading, diving and horse-riding.